AIMCO's nutrunners are designed for fastening in tight quarters or applications not served well by a discontinuous drive tool. Low reaction force on hard joints make AIMCO’s Shut Off Nutrunners comfortable for the operator to use. 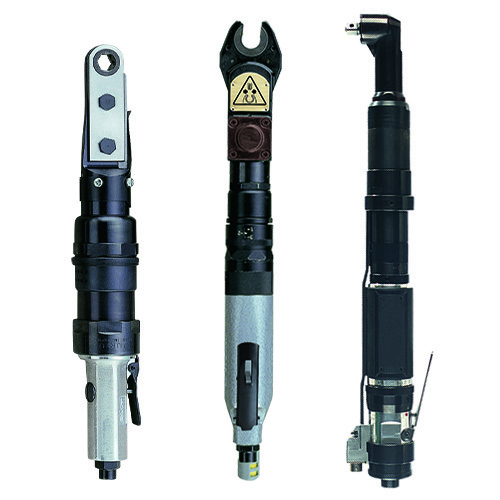 Ideal for applications ranging from 6-60 Nm (4 – 44 ft-lbs). AIMCO nutrunners - when PRODUCTIVITY, ERGONOMICS, RELIABILITY and QUALITY matter.